Zinedine Zidane and excellence have rarely been too far apart. A midfielder of supreme quality, a leader with a timeless vision, and now a manager who is making football look easy, his mind is being translated into results and success has never shied away from him. Real Madrid have been the biggest beneficiary of his significant eminence, but it is worth recognising where he etched his way into the elite amongst European football, where he made himself the world’s most expensive player, and where he tormented the best in the toughest possible surroundings: Juventus. Serie A in the late-1990s was at its peak. The best players on the planet converged upon the best clubs in Italy, and it dominated television screens the world over. In an era where Juventus and AC Milan fought for supremacy, the league rarely failed to provide entertainment with the likes of Parma, Internazionale, Lazio and Fiorentina challenging the higher order. It was also filled with the finest crop of talent: Ronaldo obliterated defences with his sub-human pace and trickery, Roberto Baggio and his divine ponytail were still going strong away from the Bianconeri, while Gabriel Batistuta was scoring at will. Zidane was initially a gamble but, after a shaky start, he too would become a revered name on fans’ lips. The Frenchman’s arrival in Turin was met with scepticism. Despite being a full international, even going on to represent France at Euro 96 and playing in a UEFA Cup final with Bordeaux in the same year he signed for the Bianconeri, his was a purchase that divided many fans – even if it was for a cut-price £3 million. His early months justified his doubters’ claims. In a midfield trio of himself, the marauding Antonio Conte and compatriot Didier Deschamps, he was given the most unfamiliar of tasks as he was asked to play as a deep-lying playmaker. The defensive duties failed to unearth his heavenly attacking intent and his form subtly dwindled. Within months, he was frozen out of the first team. It could be said that Conte’s lack of fortune had quite the hand in Zidane’s turn of fortunes. An injury to the Italian kept him out for a prolonged period, and that allowed a struggling Zidane to return to the team, with manager Marcello Lippi opting to revert to a four-man midfield. Now given the freedom to express himself in a 4-4-2, he had greater access to his forwards, and for the upcoming months his playmaking qualities, combined with his composed nature, would rip opposition defences to shreds. 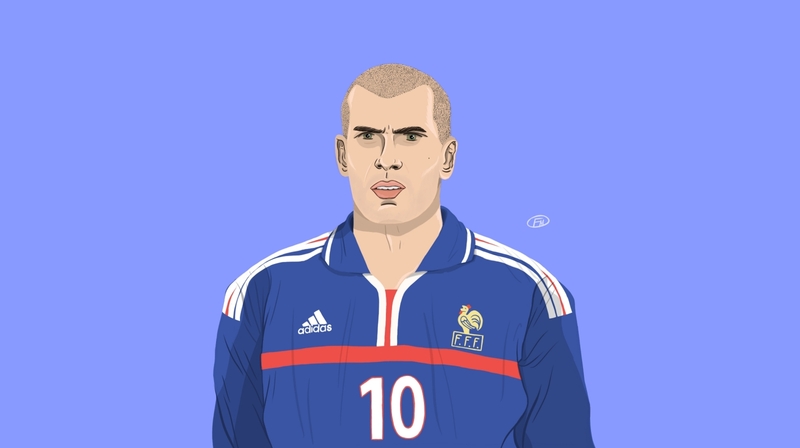 In what appeared to be a flat midfield four, Zidane was almost a number 10. A league match against Inter at home signalled his true arrival and earned him a place in hearts of the Juve faithful. Still not in top form, the October 1996 encounter was controlled by the elegance of Zidane. 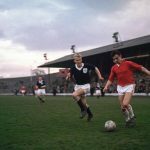 Playing with evergreen magic in his boots, he would dribble with ease and comfort, effortlessly slicing through the Inter defence whenever he pleased. Juventus dominated the attacking play throughout and drew first blood when Vladimir Jugović’s shot left the Nerazzurri back-line bamboozled. Zidane would seal the tie with a thunderous left-footed drive from outside the box following a corner. The performance and subsequent result would be crucial for both club and player, and they wouldn’t look back. Juventus would march on towards the Scudetto, and following that match against Inter, they would lose just twice in the season. With the competition stifled in Italy, they would shift their focus to the Champions League, where they were looking to retain their title. After navigating a group that consisted of Manchester United, Fenerbahçe and Rapid Vienna unbeaten, they would overcome Rosenborg in a two-legged quarter-final, with Zidane scoring the crucial opener in the second leg at home to give Juventus the lead on aggregate. They would eventually seal the win, and the semi-finals were where Zidane would establish himself as one of the world’s best. Ajax were in the way of La Vecchia Signora and a second successive final appearance, but the Turin side took the advantage home after winning the first leg in Amsterdam 2-1. The Delle Alpi would witness the first moments of Zidane the legend, with the inspired Frenchman running the Dutch giants ragged. He would assist three goals and score the fourth himself, as his eye-of-the-needle passes and deft touches left the Ajax defence in tatters. Zidane’s display took Juventus to Munich where they would meet Borussia Dortmund in the final. After a breakthrough campaign, his season would end in heartbreak as Dortmund outclassed their counterparts. Sensing the threat of Zidane, Ottmar Hitzfeld’s grand plan to stop the ever-improving midfielder was to keep one player behind his back at all times, and that task was given to Paul Lambert. 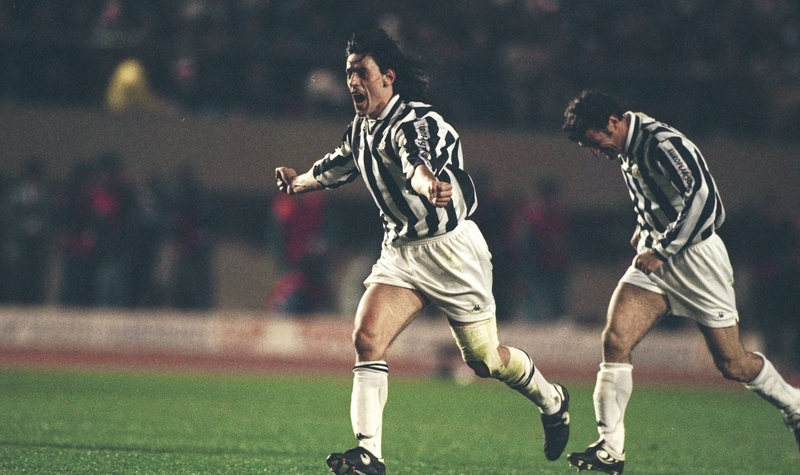 Nullified throughout the game, Juventus’ attacking talent failed to respond to Karl-Heinz Riedle’s first-half double, and despite Alessandro Del Piero’s goal, substitute Lars Ricken scored moments after coming on to send the trophy to the Westfalenstadion. Hitzfeld’s tactical nous ended Juve’s chances of a historic Champions League double, nevertheless, it was a season of development for the club as well as Zidane, who was now firmly established as his side’s midfield talisman. Gone were the days where he was a gangly figure touted for a move to Blackburn Rovers. Zidane arrived in Turin on the back of a below-par showing for France at the European Championships in England. 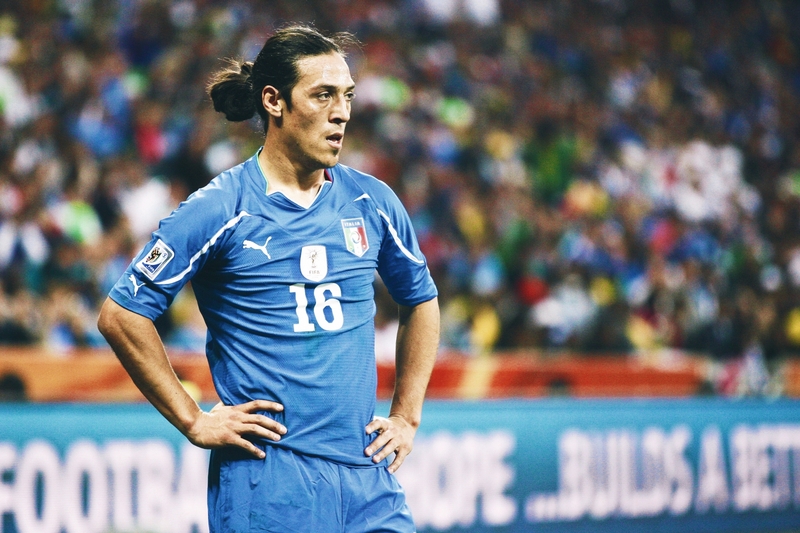 A tall but elegant figure, he hardly looked like a man who would inspire a Juventus team that was brimming with quality; instead, many thought he was a squad player who was there to add depth. A year later, however, he was untouchable. He was growing physically and his ubiquitous attacking talent was only going to get better in the upcoming season. As the new season arrived, Lippi moved into away from his favoured 4-3-1-2 formation and introduced an innovative 3-4-1-2, with Zidane holding the number 10 role, complemented by the arrival of Dutchman Edgar Davids from Ajax in December 1997, whose defensive capabilities ensured that Zidane had more freedom to express himself in the final third of the pitch. He was supported in attack by the magisterial Del Piero and Filippo Inzaghi, two of the most outstanding forwards in Italy whose movement complimented Zidane’s vision supremely. Contrary to what many believe, this new system was not implemented to give Zidane more time on the ball; instead, it was to accommodate the defensive talent the squad had as well as bringing the full-backs into the game. Juve’s back three consisted of the dependable Moreno Torricelli, Mark Iuliano and Paolo Montero, while Angelo Di Livio and Gianluca Pessotto provided the sustenance out wide. As a result of this refined strategy, goals came. The front three had their efforts rewarded by the consistency of the back three, while also being helped significantly by the two monstrous figures in midfield, Davids and Deschamps. This time around in Serie A, it was an expensively assembled Inter side that were Juve’s biggest competitors, with the likes of Ronaldo, Diego Simeone and Álvaro Recoba leading the charge for the Nerazzurri. In an intense title-race, it was the free-scoring Juventus who would lead throughout, with Zidane having a huge hand in keeping them unbeaten for the first 14 rounds of the season. Their first defeat came at the hands of Inter as Youri Djorkaeff struck to give Inter the advantage. Nevertheless, the loss was just a blip, and the duo of Del Piero and Inzaghi would rack up an astounding 61 goals between them to power Juventus to the title, losing just once more in the season and finishing five points ahead of Inter. Their focus shifted to the Champions League once again, where they were favourites to win the competition having established themselves as one of Europe’s best teams. Expectedly, it was the European nights that brought out the best of Zidane. A man made for the big stage, he inspired the team right from the start, scoring twice in the group stages, including one at Old Trafford against Manchester United. The Old Lady finished second in their group behind the Red Devils and were handed a tie against Dynamo Kyiv in the quarter-finals, where Zidane would steal the show once again. Heading into the second leg away from home after drawing the first 1-1, Zidane would control the tempo and, with his slick footwork, dismantling a sorry looking Dynamo defence. Inzaghi scored a typical poacher’s hat-trick and Del Piero added the fourth as their partnership strengthened, but it was Zidane turning up with a hat-trick of assists. For the first Inzaghi strike, it was a dummy shot and a simple pass to his right foot that gave Juventus the lead, while for the second it was a pinpoint corner straight to the forward’s head. The third, however, was special. With Inzaghi having completed his hat-trick and the tie sealed, Zidane provided a piece of magic to send the travelling fans home in hysteria. With the ball coming to him at an awkward height from defence, Zidane, stood in the centre circle, made the most of the elevation and completed a stunning pass with the outside of his right foot over the confused Ukrainian defence and straight into the path of Del Piero, who smashed it into the corner. In a moment of sheer brilliance, Zidane’s deftness came to the fore – Europe’s best midfielder once again showed what he could do in the tightest of situations. The exhibition in Kyiv was a feast for the footballing purist. Like an artist in the process of producing his finest work, Zidane would brush past the opposition like they weren’t there. This wasn’t a one-off performance – it was becoming a frequent phenomenon as the Frenchman would strut his technical zeal against all comers. For two years, the Bianconeri faithful would enjoy this art while the rest of Europe would drool over his magnificence, and as Juventus continued to get stronger, he would give the watching world a greater glimpse of his enormous talent. No longer was he an aspiring star stepping amongst the big shots of the game; he was now firmly established as the biggest catch to the neutral fan. The 1997/98 season was yet another turning point in his career. Zidane would play close to home in the Champions League semi-finals as Monaco were the next stop on their way to a third-successive continental final. In a tight affair, Zidane’s side would progress 6-4 on aggregate and reach another historic final, where Europe’s most successful club, Real Madrid, were waiting to take them on in Amsterdam. On a night where there was no shortage of star power, there was the unfathomable situation of Real going into the night as underdogs. Juventus were the Italian champions, playing in their third final in as many seasons, while Los Blancos had finished their LaLiga campaign in fourth. Their Galácticos policy was yet to take shape in its modern incarnation but they still had exciting footballers in their side including Fernando Hierro and Roberto Carlos in defence, Fernando Redondo in midfield, and two superstars in Clarence Seedorf and local hero, Raúl. A classy Real had Juve’s number. Just like 12 months prior, where it was Lambert who kept Zidane quiet, this time around it would be his international teammate, Christian Karembeu, who was responsible for the toughest task on the pitch. The playmaker was expertly isolated, allowed just one shot and a handful of dribbles, while the brilliant Hierro kept the attacking duo of Del Piero and Inzaghi at bay. Predrag Mijatović’s goal midway through the second half condemned Juventus to a second heartbreak in as many years. Juventus had a team of luminaries and played the type of football that deserved all the trophies in the world. A team that was stacked with quality in every area of the pitch, they would overcome most opponents comfortably, but it was the big fish that troubled them, and the Champions League remained the only title missing from Zidane’s exceptional trophy cabinet. He would inspire his nation four weeks later as his France side triumphed over Brazil on home soil to lift their first World Cup. Zidane’s two goals in the final put him in the box seat for that year’s Ballon d’Or, which he duly and deservedly won. He was now officially the world’s best player. Following the frenzy of winning the World Cup, Zidane was back in black and white, but times were changing in Turin. Juventus started the season slowly and rarely looked like the side that had dominated the European football scene over the last three years. Lippi’s troops were inconsistent at home and abroad, suffering as many defeats by December as they had in the previous two seasons combined, barely making it through an underwhelming Champions League group, winning just one game – the decider – and drawing the other five. A one-dimensional Juventus failed to bring the best out of Zidane, and he wasn’t helped by the absence of Del Piero, who suffered a serious knee injury in a game against Udinese in November and was ruled out for the season. By February, Lippi was gone. The man who replaced him was Carlo Ancelotti. The inexperienced and still unproven Ancelotti had big shoes to fill, and right from the off, he didn’t want to risk upsetting the status quo as he stuck to the formula that made his predecessor so successful – keeping Zidane in the number 10 role as he ditched his 4-4-2 for an altered 4-3-1-2. The changes failed to bring any changes in results on the pitch, as an uninspired Juventus continued to slump. Despite reaching the semi-finals of the Champions League with luck and the draw favouring them, they were unconvincing in Serie A, ending the season in a lowly seventh, walking away from the campaign trophyless. For Zidane, it was a period of transition. Despite attempting to maintain a similar approach to matches, he was often far from the action and rarely as influential as he could have been. He scored just twice that season, which was his lowest total since he arrived at the club as subdued performances meant he relinquished the Ballon d’Or title to Barcelona’s Rivaldo. Juventus recovered their mojo at the start of the next season, with much-welcomed stability being a crucial factor to their early success. 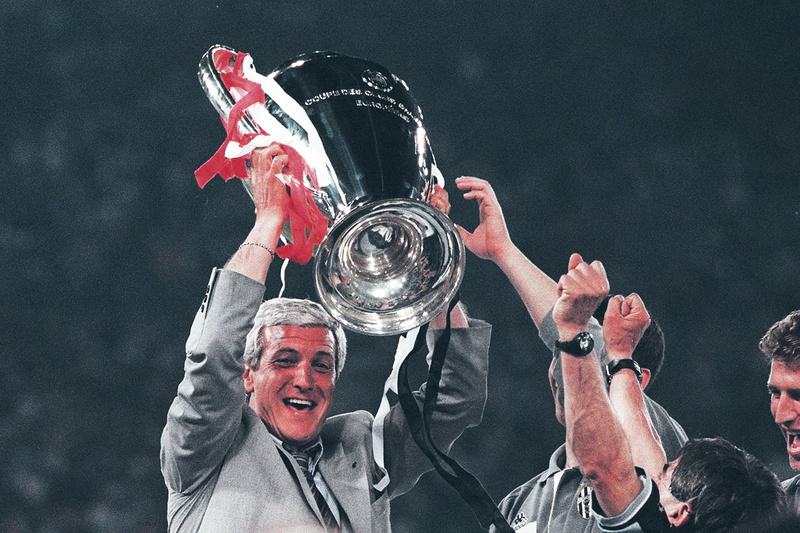 They had the unwanted distinction of winning the Intertoto Cup before the start of the season – a competition Juventus really shouldn’t have been participating in – which gave them passage into Europe. After some unconvincing displays throughout the UEFA Cup, Celta Vigo would get the better of them, meaning that it was just Serie A that they could focus on. Ancelotti’s team were much better domestically than they were in the previous campaign. 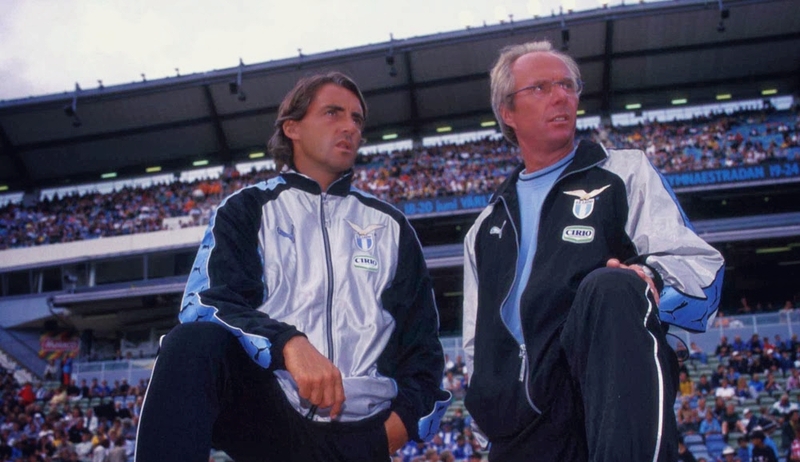 In one of the greatest title races across any European league in the modern era, the 1999/2000 season was hotly contested between Juventus and Sven-Göran Eriksson’s fantastic Lazio side, which featured the likes of Alessandro Nesta, Diego Simeone and Pavel Nedvěd. With the front two of Del Piero and Inzaghi firing consistently again, and Zidane being given the freedom to roam, Juventus were strong, but Lazio kept pace. 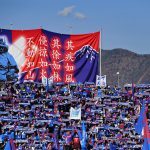 A crucial title-decider came in April as the two clashed at the Delle Alpi in an encounter that would change the course of the season. The plot included two teams squaring off to gain an advantage for the title, but the sub-plot had two of the finest playmakers in the land – Zidane and Nedvěd – fighting against each other. The Bianconeri came into the tie with the upper hand; having lost just once in the league, they seemed overwhelming favourites. However, they were coming into the game on the back of an away defeat to Milan, which meant they still had a six-point lead to protect. Lazio were resilient as both managers adopted a cautious approach. In an even match, neither side was able to breach the other’s defence, and despite the elite quality on display, it would take a numerical advantage of players to swing the pendulum in one’s favour. Ciro Ferrera, the iconic Juventus centre-half, was sent off, which allowed Lazio to score midway through the second half via the relentless Simeone. Zidane’s best efforts, just like the rest of those donning the black and white stripes that day, were in vain, but they still had a lead to protect. Luckily for them, Lazio weren’t able to capitalise on their strong form, and with just three games remaining in the season, they had a five-point lead to overturn. Starting off against Verona, all Juventus needed were positive results for the next two matches, but Verona got the better of them as goals either side of the break gave Lazio a glimmer of hope. Parma at home were next, and in controversial fashion, Del Piero scored the only goal of the game, meaning that the title could still switch hands on the final day. With their game in Perugia starting more than an hour later than expected, Juventus kicked-off knowing only a win would do, as Lazio had won their fixture 3-0. Amazingly, Alessandro Callori’s goal for the minnows – a sensational volley after a fine show of control under pressure – meant that the title had slipped through their fingers right at the death. The wildest of celebrations had commenced in the capital as Juventus buckled in the most sensational fashion. The season ended without a major trophy, and Zidane would see his brilliance bear no fruit once again, as he headed to his national team for the European Championships in the Netherlands and Belgium. There, he would run the show again and, in another presentation of his unbelievable skill, would win the tournament. For his personal cabinet, he would be named the player of the tournament. It was clear where Zidane’s position in world football stood and, after trophies for club and country, goals, assists, Ballon d’Ors and various domestic awards, he was on the wish list of the world’s best. A move was far from easy but the groundwork was laid by many, and it seemed impossible that Zidane would be a Juventus player for much longer. Nevertheless, he would go into the 2000/01 season with the aim of bringing glory back to Turin. Despite contending for the Scudetto again, losing the title narrowly to Roma, Juventus were off the pace in Europe and finished bottom of their Champions League group. In their penultimate home game against Hamburg, Zidane showed a fiery side that had come to the fore previously – and would do so infamously six years later – as he received a straight red for head-butting Jochen Kientz. It would prove to be Zidane’s final season in Turin. Real Madrid’s Florentino Pérez kicked off his modern Galáctico policy, which was famously labelled ‘Zidanes y Pavones’, and the Frenchman was brought in for a world-record £46 million. Despite failing to lift the Champions League in Turin and the heartbreak of his two final Scudetto ventures, Zidane was voted into the club’s greatest team in November 2017 to commemorate their 120th anniversary, and he is still held in high regard by the Bianconeri faithful. He ended his stay with outstanding numbers which told only half the story: 31 goals and 26 assists in 151 appearances, a Ballon d’Or, two FIFA World Player of the Year gongs, two Serie A titles, a UEFA Super Cup and an Intercontinental Cup. In Zidane, Juventus had the suave, the guile and the control. A player whose purchase was initially met with scepticism, he departed as one of the greatest ever, with his place secured in Bianconero hearts. They gambled on him, giving up on rousing names such as Antonio Conte to accommodate his talent and make him the best they could – and it worked. 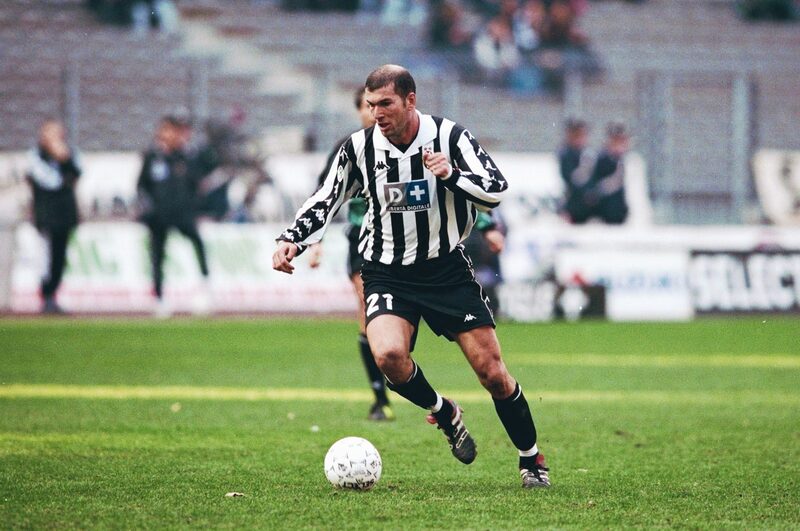 Many agree that Real Madrid and France was where Zidane earned most of his glittering reputation, but it was at Juventus that he grew into the legend he would retire as.